Chelsea has scheduled to open football academy in Indonesia with the name Chelsea Soccer School. 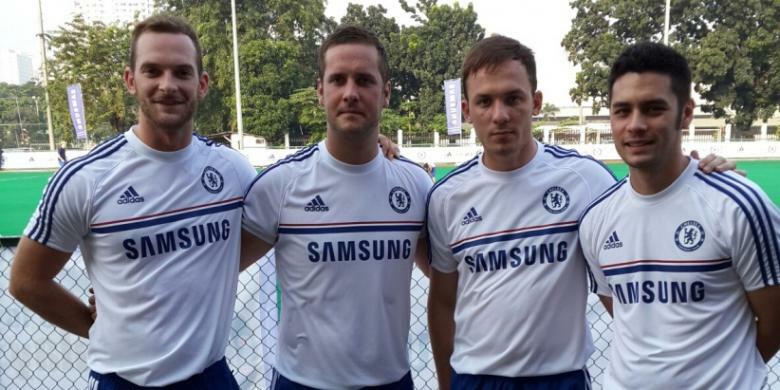 The Blues will be sent direct staffers to oversee the club’s coach of the Chelsea Soccer School program in Indonesia. Preparation Chelsea Soccer School has reached the final stage. As it says the sponsor, Chelsea Soccer School will come soon, stay perfect things to be more mature and ready. Youth development program is expected to help introduce the way Chelsea play good football and correct. Not only that, Chelsea had opened my eyes to the potential that the seeds have a chance to study at the Chelsea football academy in London, England. “Chelsea has a staff of coaches that specialized in developing international football. Essence of this program, we will be happy when football across the world can move forward,” said International Development Director Chelsea, David Monk. For Indonesia, the Chelsea coach sends four staff, including Monk, who was present to give a coaching clinic at Samsung’s event held on Sunday (07/21/2013). They will choose the local trainers who train the task feasible Chelsea Soccer School. However, Monk et al still oversee the performance and development of the Chelsea Soccer School in Indonesia. “We do a selection of some trainers from Indonesia in Malaysia, some time ago. Process is rigorous. If not feasible with the vision and mission of Chelsea, so we did not choose. Now, we have found three decent coach for Chelsea Soccer School,” light Monk.